5 Things to Look out for when choosing a Good garage you can Trust. When it comes down to our vehicles, we all know the importance of keeping the car safe & road worthy. No matter how big or small the problem may be You need peace of mind, and although there are a lot of Garages out there, sometimes finding a good one might be a bit challenging. That’s why we’ve decided to do a quick summary of the 5 most popular and effective ways to find a good car service garage in Loughborough. As obvious as it sounds, many of us ignore this method. It might be old-fashioned, but this approach has been one of the most effective for years. No matter if you’ll decide to ask your family, friends or colleagues for opinion, there is always a chance to find someone who can give you a great referral based on their experience. After all, every one of us has at least one friend or relative, who has a car. If you are new in the city and don’t know who to trust yet or just for double-check, you can always make quick research online. Just type in something like “car service Loughborough”, “Loughborough mot and service centre” or something similar including the city you are looking in, and you will get a list of garages near you. After that, all you have to do is to check their rating on different trustworthy websites like goodgaragescheme.com or similar. Even if you don’t find any information, you can always ask for a referral or opinion on different forums or even Facebook groups. If you still have some concerns about the quality of service you will get, when visiting a garage, you can always do a little deeper research. It never hurts to contact the garage and to ask for more information about their services and employees. As not the garage itself, but its employees are what make it a good one, just ask about the experience of the associates, because if a certain mot centre in Loughborough or in any other city is on the market for more than 20 years already, this doesn’t mean that its employees will have the same experience. We all know how messy it might get when we start working on a car. Having this in mind, we could only imagine what it might be, doing mot tests or car service on a daily basis. However, it is definitely not nice to find greasy steams or some parts left behind after visiting a car service. That’s why don’t forget just to take a quick look at the hygiene kept in the garage. Last but not least, don’t forget to check the prices. 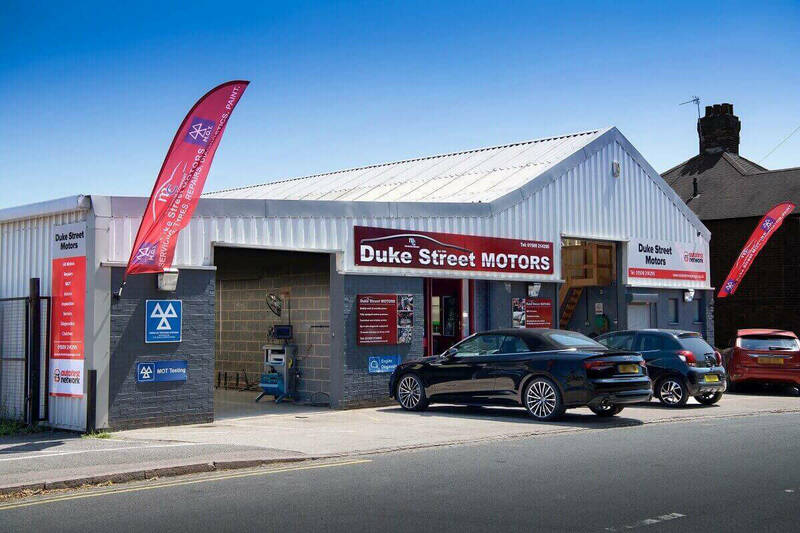 It is a fact that the price range that most Loughborough mot and car service centres have might vary, but you should always look for a fair one – not too high, you don’t have to pay for no reason and not too low at the same time, so you don’t have to question the quality of the service. What to understand by Trustworthy Garages here in Loughborough? How much does it cost to get a high-quality car paint repair in Loughborough? Tips on when and how to choose a Good Garage for your Interim Car Service!